Actual level - There are eight generators, or units, and one generator equals a little over 3000 cfs (cubic feet per second), or a little less than 50 mw (megawatts) [Bull Shoals Dam has total plant capacity of 391mw divided by 8 generators equals 48.88mw per generator]. 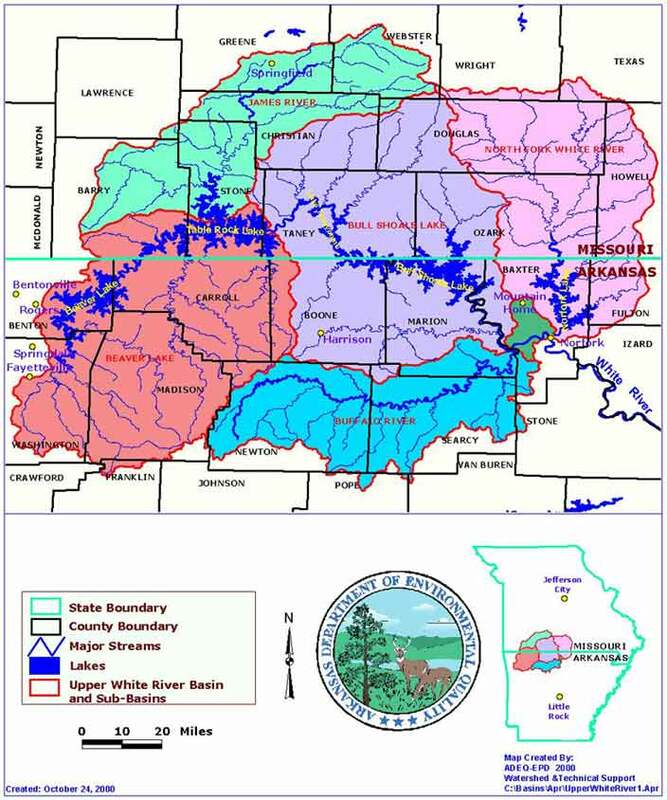 Projected level - (Bull Shoals Dam, the tailwater being White River, is #14 "BSD"). Note: Projections may not necessarily be what actually happens!! More High Water - May, 2011. Out on the river with flood gates open - April, 2008.